With any job, knowing the process for getting hired is half the battle! Today, I am giving you 8 tips that will help you pass your interview, pass your mock classes, and get hired with VIPKid. There are only certain web browsers that will support the VIPKid teaching platform. In other words, there are features that other browsers (like Safari for mac users) won’t support. So, VIPKid recently began telling teachers that they needed to use either the teaching app or Google Chrome during classes. Consider using Chrome from the beginning of the application process so that you are familiar with it. It will make using it during your interview and mock classes so much easier. In the spirit of full disclosure, Chrome isn’t my favorite browser to use daily. I’m used to Safari, but I have Chrome downloaded on my computer solely for the purpose of teaching my VIPKid classes. One of the hardest parts about applying and interviewing to be a VIPKid teacher is getting used to seeing yourself on camera. The idea of having to interact with a computer screen is very daunting to most people, and is a major deterrent that keeps many people from even applying. However, there are ways to overcome this. If you will open your camera in FaceTime or Skype, you can see yourself without actually making a video call. By simply opening the app on your computer, you can get used to seeing yourself. But, as with anything, just getting in front of the camera will allow you to get over some of your awkwardness, and give you more confidence. So, if you want to get hired with VIPKid, you are going to have to get used to seeing yourself on camera. Because your camera is projecting a mirror image, left is actually right and right is left. There is nothing worse than reaching for your reward system only to realize that you aren’t even using the correct hand. Yes, I’ve done it, and honestly, I still have to think about it when I’m in class. But simply giving yourself time to practice in front of a camera without anyone critiquing you will give you more confidence when it comes time to go through the interview and mock classes. One thing that is important if you want to get hired with VIPKid is appropriate lighting. If you can’t be seen by the person interviewing you, how are the kids going to see you when you start teaching classes? The good thing is there’s an easy way to overcome this issue. For purposes of your interview and mock classes, just bring all of the lamps from around your house and put them in the room you’re going to be teaching from. Then, with your camera open (with FaceTime or Skype) turn on the different lamps, and position yourself as though you were in the interview or mock class. Look for any odd shadows across your face, and be sure to notice any reflections that might appear if you wear glasses. If you do notice any issues, you can do a few things that will help. Remove the shade from your lamp to provide more light. Reposition the location of the lamp(s). Add more lamps if necessary. Remember, this is just a temporary solution until you get hired with VIPKid. Then you can find better alternatives to your lighting situation. This post contains affiliate links. If you click and make a purchase, I receive a commission, but I ONLY recommend products that I love and use. For more information, you can read my full disclosure policy. This is by far my favorite on this list of tips to help you get hired with VIPKid. Other than the awkwardness of being on camera, the most nerve-wracking part of the application and interview process is trying to remember all of the little things. Between virtual stars, secondary reward systems, props, and nervousness, forgetting something is highly likely. So to avoid this, simply write yourself notes on little post-its and place them around your computer screen. The interviewer won’t see them, but you will!! Before I completed my interview and mock class, I placed small post-its all around the edges of my computer. I chose to put them in order based on when I needed to remember them. By the time I actually did my mock class, I think I had about 8 or 10 notes in front of me to help me!! Yes, I know how ridiculous it sounds, but it worked! I’ve been teaching with VIPKid for a long time and I plan to continue working with them for years to come. Now that you have some great tips to help you get hired with VIPKid, you simply need to take a leap of faith and apply! And if you use my referral code, JENNI0309, I will be your personal mentor throughout the entire hiring process. I will be available to answer any questions you might have and provide you with even more tips and helpful hints! 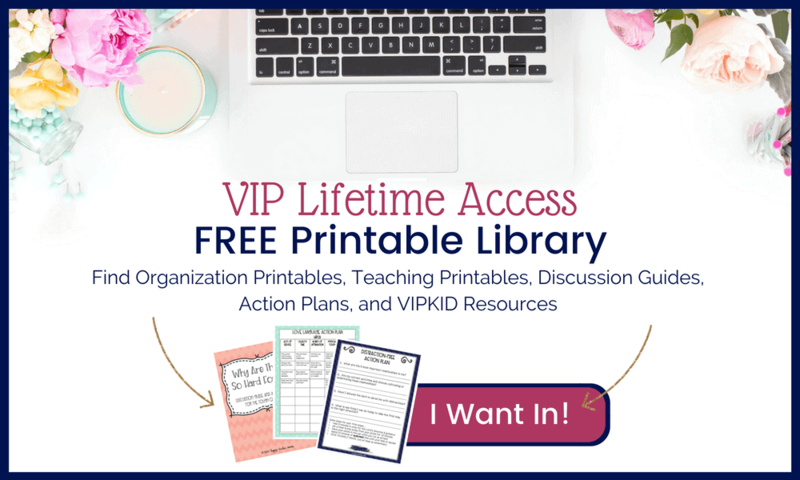 Plus, I have a VIPKid starter set of FREE printables including flashcards, a reward system, and background banners that will help you stand out in your interview and mock classes. But, you can only get them by using my unique referral code JENNI0309, or by clicking this link! Simply the link below to get started! !